It’s officially summer weather! 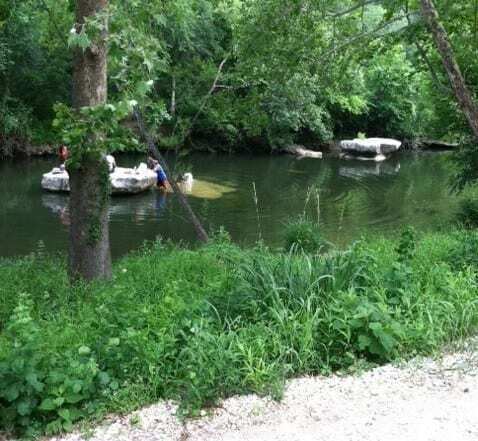 Good thing Austin is full of hidden oases throughout the entire city, and we are all about uncovering them. 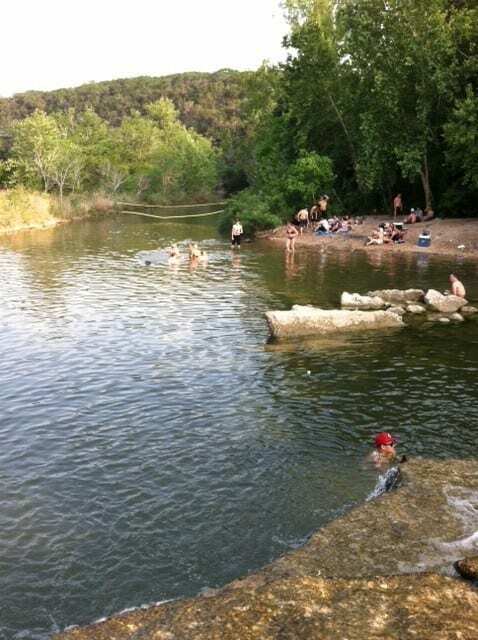 To start, you can check out our roundup of Best Swimming Holes Around Austin for lots of places to cool down. 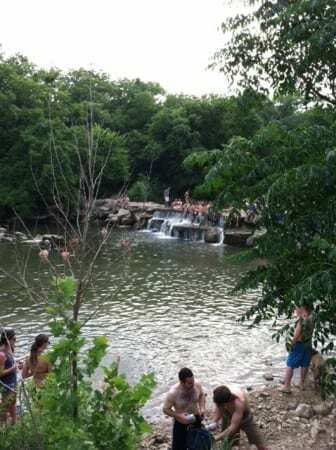 One of the swimming spots we love is Lost Creek, where you can swim, relax, party like you’re still in college or hike around the area. 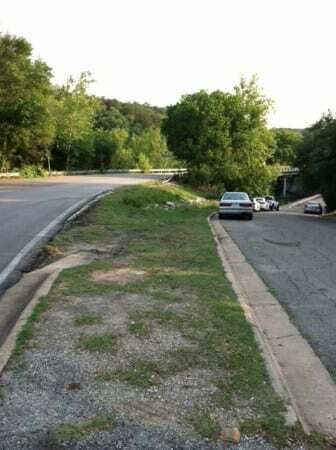 Lost Creek is off of Lost Creek Blvd., which is just a 15-minute drive from downtown. Take I-35 S to 290 W. Merge onto TX-360 Loop N and turn left onto Lost Creek Blvd. Here is a map. What the map won’t tell you, is how to actually get to the swimming hole. We, however, will totally spill the beans. This split is at Bend O River Dr. You can either drive to the right and attempt to find a parking spot, or you can take a left on any of the streets before the split and park in the neighborhood. But, be respectful of the neighborhood, don’t be a jerk face and block driveways or mailboxes or walk through their yard. Nobody likes a jerk face. The hike begins! Walk down the trail a few minutes and take the 2nd split to the right, after you see the first swimming spot. This spot is pretty sweet, with a huge rock in the middle where people usually set up shop. It’s a relaxing spot and someone usually lays claim to it pretty early in the day. 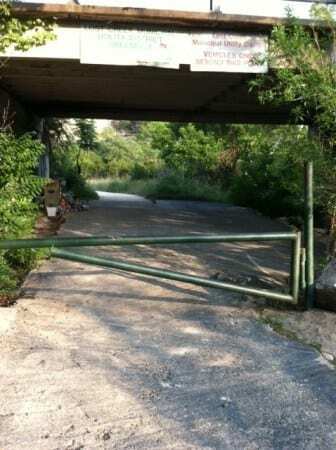 Don’t get frustrated though because when people talk about Lost Creek, they’re not talking about this spot. Lost Creek is about a 20 – 25 minute walk beyond this point. The first step is to cross the creek. 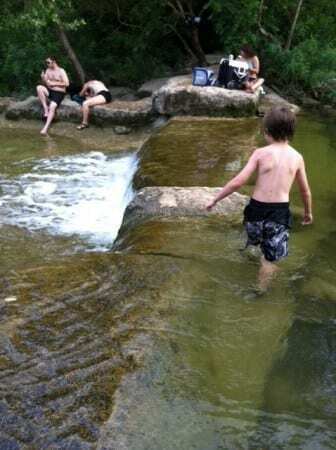 The hike to the swimming hole is a very easy walk through the woods. It’s a shady and open trail along level ground. There aren’t any hills or jagged rocks, it’s a simple dirt trail… but it’s a long dirt trail. Your kids will ask you to carry them and will probably ask, “Are we almost there?” about 5 billion times before you actually get there. So prepare for that. Bring water and snacks and travel light. Lost Creek is known for its party vibe and you’ll start to hear it as you approach. Music is usually playing and people are having a good time swimming, playing with their dogs, hanging out with their friends or throwing a ball around. We’ve even seen a volleyball net set up! Lost Creek is a gem, go find it! Thanks for the inside scoop! and for using the phrase "jerk face" - I love it! Dude! You made this place sound great! Can't wait to check it out. Wow! 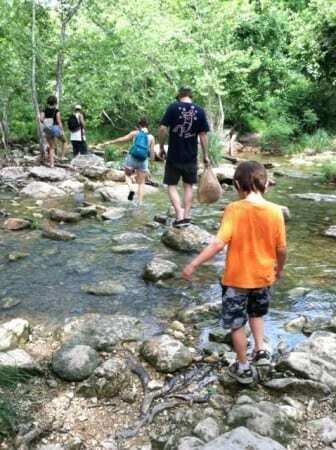 I have to take the kids to the Barton Creek mall tomorrow and lost creek is on the way. I'm gonna surprise them with this hint for a "lost creek" thanks! Really great write up. This access point is one of our favorites and seems to be less crowded than most. Hey thank you so much for documenting this. My wife and I are visiting Austin and found your blog... followed this post to the T and ended up having a super fun day.